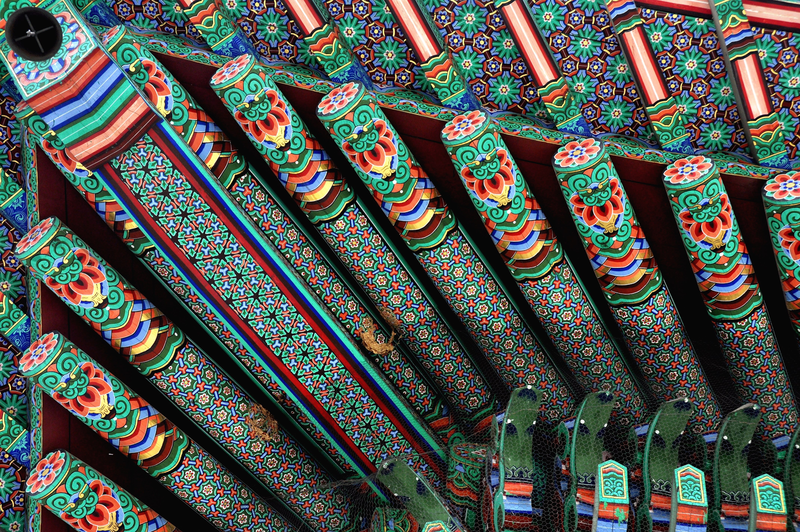 Korean dancheong patterns comprise a beautiful geometric art form that is widely used in traditional Korean wooden buildings. Geummun is a particular type of pattern used in dancheong, the construction of which is based on a geometric configuration. While other pattern types are more representational and descriptive, geummun is more abstract and repetitive, characterized by hexagonal symmetry and interwoven laces. While computational representation of Islamic geometric patterns being a widely studied topic, there has not been any systematic study conducted on Korean geummun patterns. Additionally, the lack of easily accessible sources makes it difficult to trace their historical and geographical change since the patterns are usually repainted every decades. Since Spring 2015, I conducted a series of design analysis based on parametric shape grammar to understand the geometric construction of existing geummun patterns. Based on the analysis, I experimented non-traditional arrangement styles to create novel variations based on existing motifs in geummun patterns. For my master’s thesis, I propose a web-based platform that allows users to either archive existing patterns or created their own based on the design principle of geummun. To verify the appropriateness of the platform, a machine learning model will be used to crosscheck between computer-generated patterns and existing patterns.